Bali is an Indonesian province. This provincial capital is Denpasar. Bali is also the name of the main island in this region. 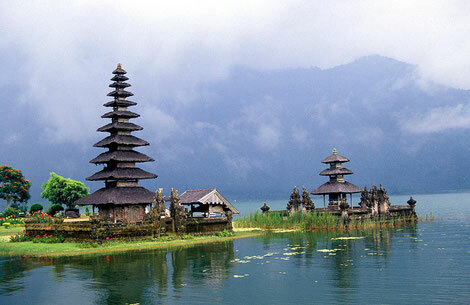 Bali is Indonesia's excellent tourism is already well-known throughout the world. As well as the natural beauty, especially its beaches, Bali is also famous for the arts and culture are unique and interesting. Bali's tourism industry is centered in the South and in some other areas. The main tourist sites such as Kuta and Legian and Seminyak surrounding the eastern areas of the city such as Sanur, such as the city center of Ubud, and in southern regions such as Jimbaran, Nusa Dua and Pecatu. Bali as a tourist destination complete and integrated has many interesting sights, among others: Kuta Beach, Pura Tanah Lot, Padang - Padang, Lake Beratan Bedugul, Garuda Wisnu Kencana (GWK), Lovina Beach with Lumba Lumbanya, Pura Besakih, Uluwatu, Ubud, Munduk, Kintamani, Amed, Tulamben, Menjangan Island and many others. Now, Bali also has several tourist centers that are full education for children such as a zoo, museum three dimensions, a waterpark, and a tortoise breeding.